The Lunar Reconnaissance Orbiter Camera (LROC) consists of one Wide Angle Camera (WAC) for synoptic multispectral imaging and two Narrow Angle Cameras (NAC) that provide high-resolution images (0.5 to 2.0 m pixel scale) of key targets. LROC was not designed as a stereo system, but can obtain stereo pairs through images acquired from two orbits (with at least one off-nadir slew). Off-nadir rolls interfere with the data collection of the other instruments, so during the nominal mission LROC slew opportunities are limited to three per day. This abstract describes a methodology of Digital Elevation Model (DEM) generation from LROC stereo pairs over the lunar south pole and provides a comparison to the Lunar Orbiter Laser Altimeter (LOLA) 5 m DEM. Previously we described DEM generation for the Lunar Mapping and Modeling Program (LMMP). 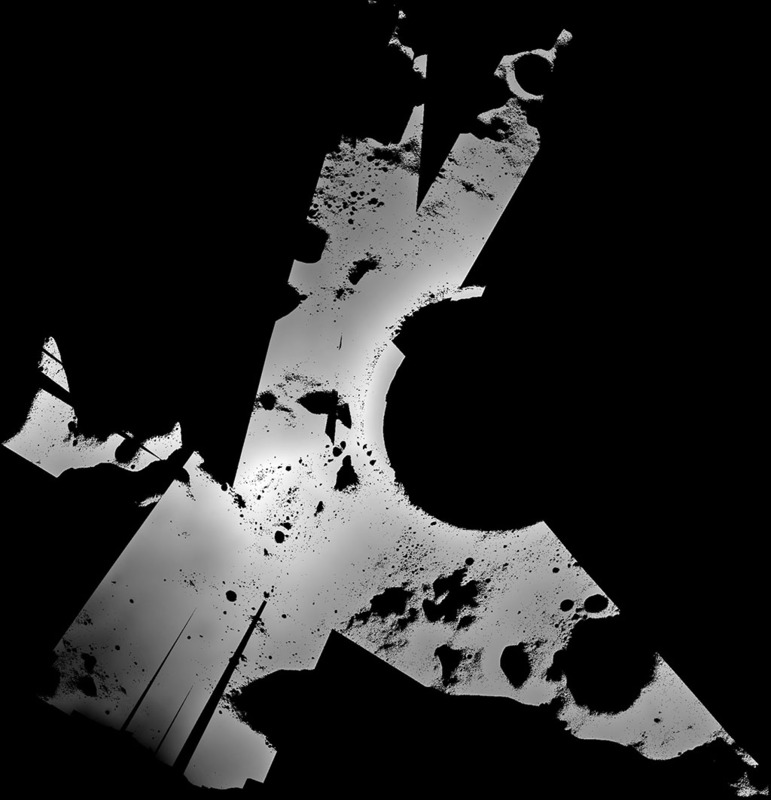 The methodology was updated to include registration of the LROC NAC images to the LOLA DEM and LOLA track data. Also, the SOCET SET (®BAE Systems) sensor model was updated to accommodate images that crossed the pole, and other software modifications were made to map images that were captured while the spacecraft was rotating. Because of the shadows in the polar region, we used images that were collected at four different times and tied those datasets together.